Amsterdam's marketing pros want more tourists to visit the outer reaches the city's greater metropolitan area. People like to visit Amsterdam’s world-famous tourist attractions, but the urbanist-friendly city wants us to know there are sights less famous and central to see there, too. Since 2009, Amsterdam Metropolitan Area’s marketing has been trying to promote not just the city centre but the surrounding region as a tourist destination. The campaign, called “Visit Amsterdam, See Holland,” has resulted in a 40 per cent increase in tourism revenue for the Amsterdam Metropolitan Area so far. In February 2014, the local Amsterdam government announced a “hotel strategy” for 2016–2022 to encourage aspiring hoteliers to open tourist accommodations in less frequented neighbourhoods. Resources include a map of existing hotels and “opportunity areas” where new lodgings could be used. Toronto’s local landmarks may not have the global cachet of Amsterdam’s canals, the Anne Frank House, the Van Gogh Museum or a highly commercialized red-light district. But Hogtown does draw in a staggering number of visitors each year. In 2014, Toronto’s tourism industry experienced its fourth straight year of growth, as 14.3 million people stayed here overnight. About 10.5 million of those people came from other parts of Canada, but the US, China, the UK, India, Germany, and Japan also sent thousands of tourists our way. It’s great for local businesses, Toronto’s fame, and just to know the world loves us. But it’s a little disappointing that so many tourists only cling tightly to Front Street, Yonge Street, and Yorkville, or use Toronto as a jumping-off point to get to Niagara Falls or Algonquin Park. It’s understandable: Ontario is a paradoxical land of skyscrapers and wilderness. The CN Tower, Ripley’s Aquarium, Queen’s Quay, and the Eaton Centre are marvels in one way or another, while Algonquin and Niagara are natural wonders. But what gets lost in the fray are the parts in between. The outlying patches of the GTA that still have a lot to offer in the way of nature and culture. 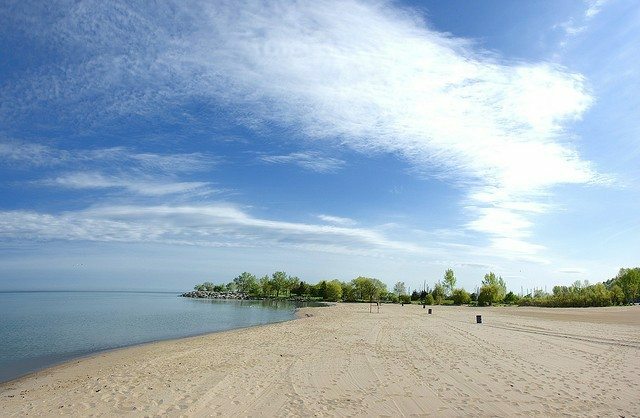 The Scarborough Bluffs are home to nine city parks, chockablock with walking trails, beaches, and incredible views of Lake Ontario. Plus there’s the bluff-top Guild Inn, an estate-turned-artist colony that later became a hotel before finally evolving into a park that’s home to the rebuilt facades of some of Toronto’s oldest buildings. There’s Rouge Park, a wildlife-heavy meeting of marsh, river, and lake between Markham and Ajax, that’s on its way to becoming a national park. Vaughan gets a lot of credit for Canada’s Wonderland and a ridiculous megamall, but also in the neighbourhood is the McMichael Canadian Art Collection, which includes unique works by the Group of Seven and a large collection of traditional, innovative Aboriginal art, as well as modern works. You don’t even have to stray that far from the subway line to see something special here: There are Eastern European butchers and bakers in Bloor West Village; Dundas West offers a constantly growing nightlife; or you can spy a corridor of Chinese, Indian, and Halal restaurants and grocery stores along Lawrence Avenue east of Victoria Park. With the Pan Am and Parapan Am Games set to bring 250,000 people to the GTA and Hamilton, there will be no better opportunity to get visitors out to see our less famous attractions. Visit Toronto, see the GTA.